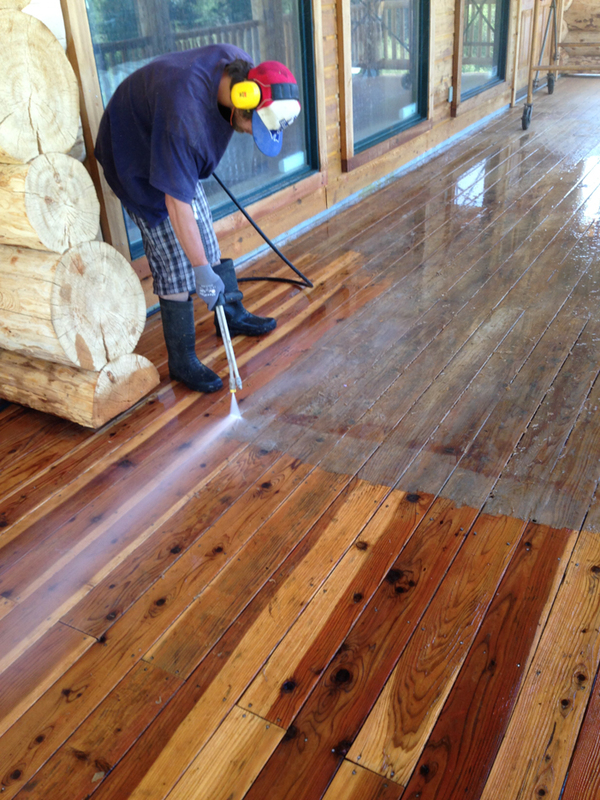 Deck is stained with Sashco oil. 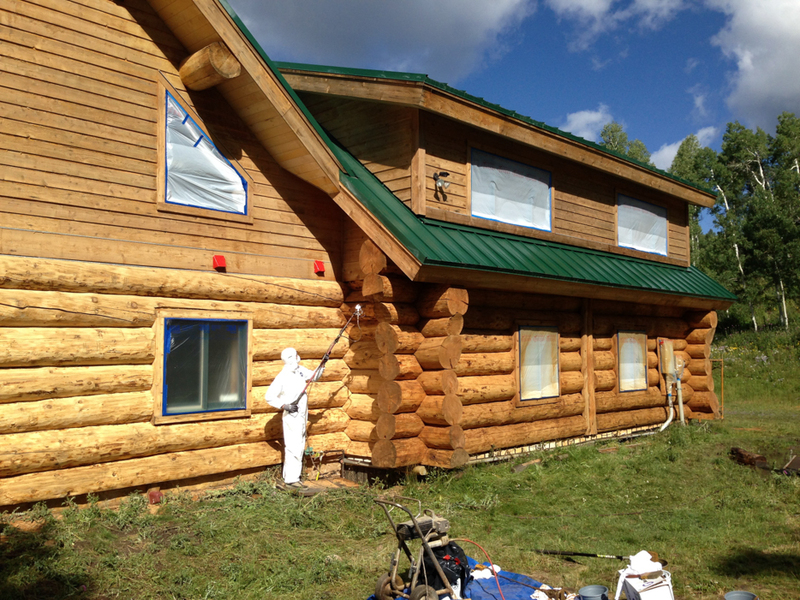 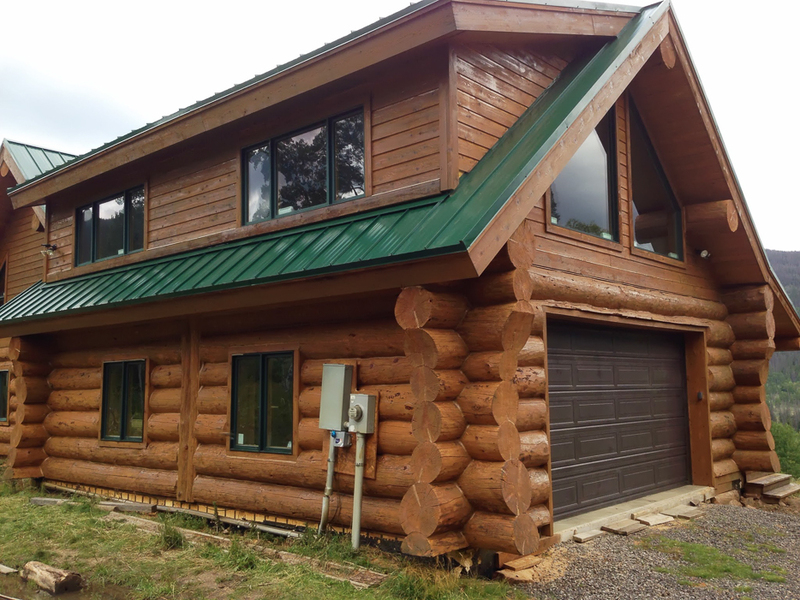 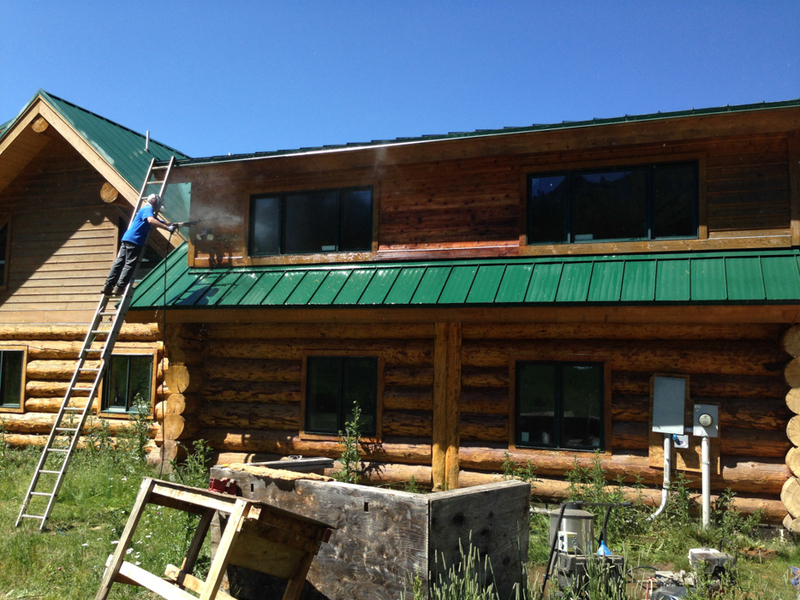 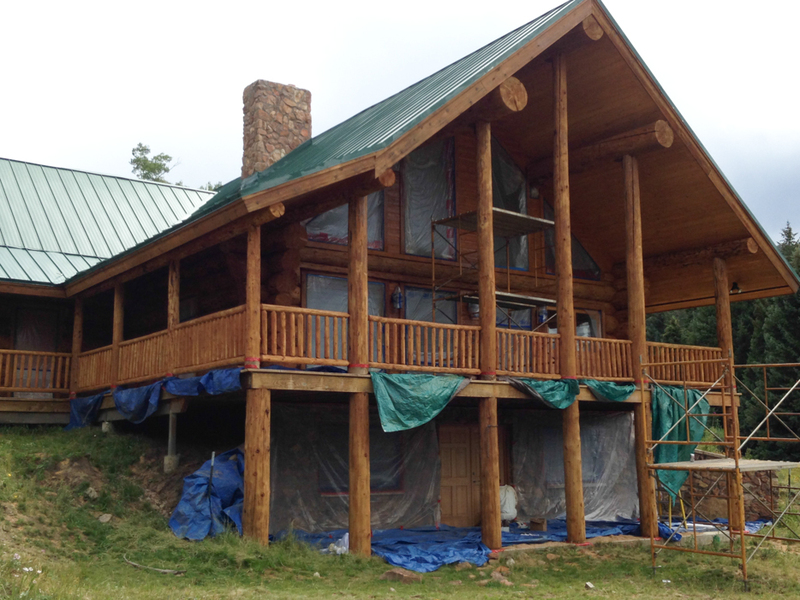 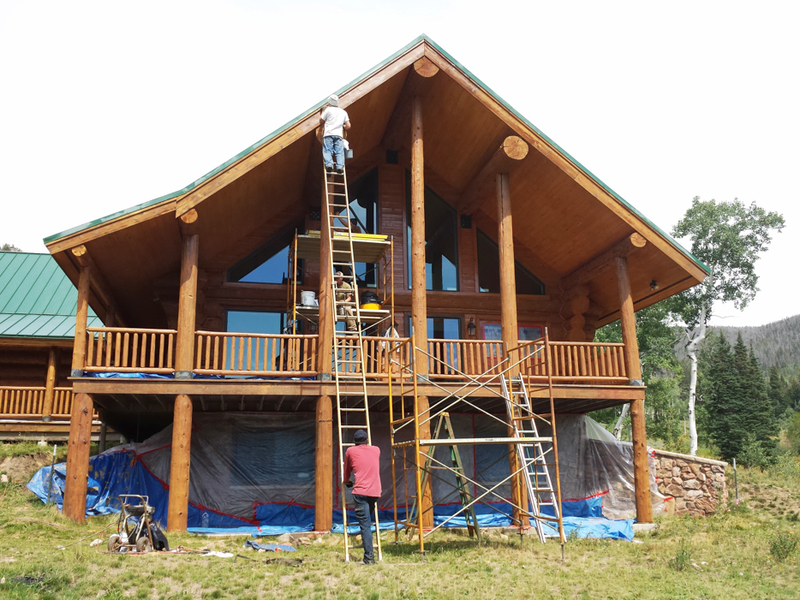 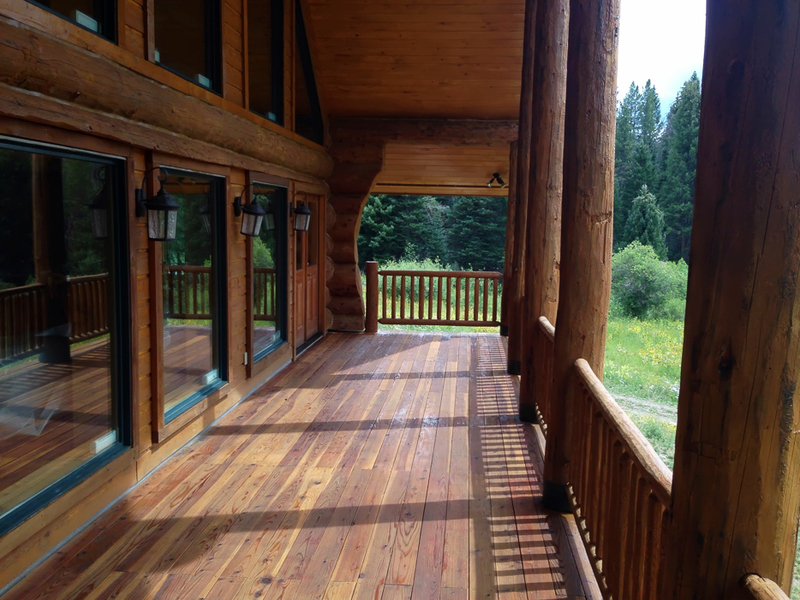 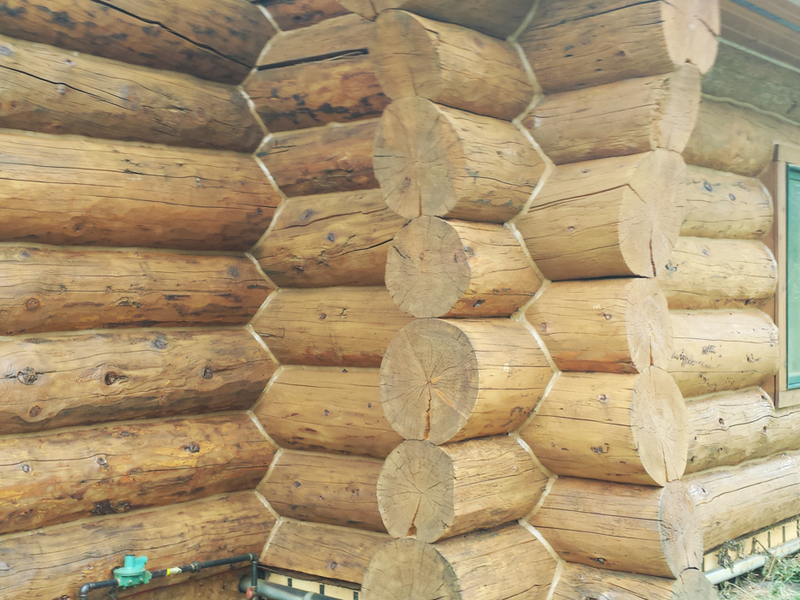 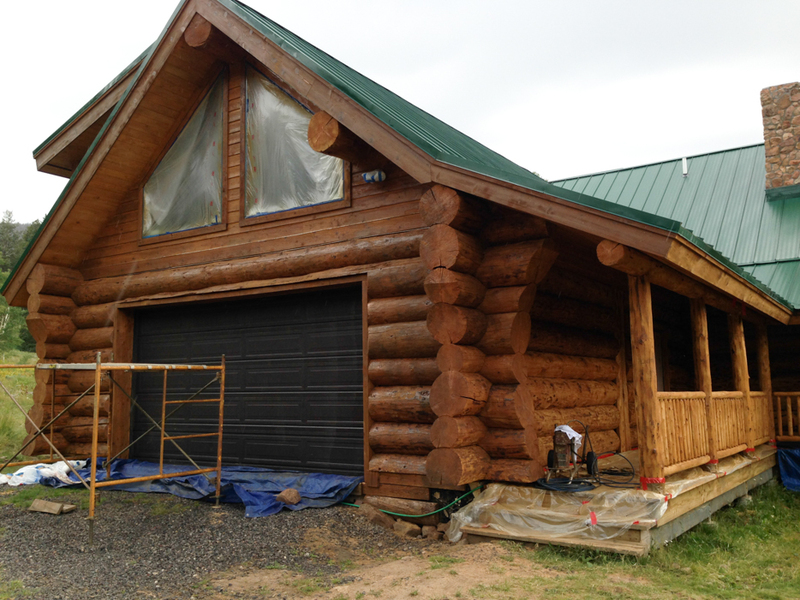 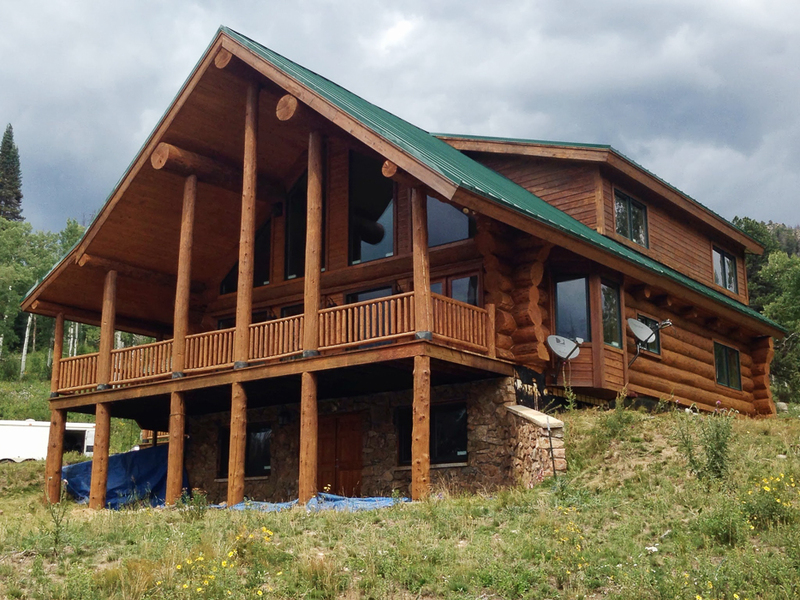 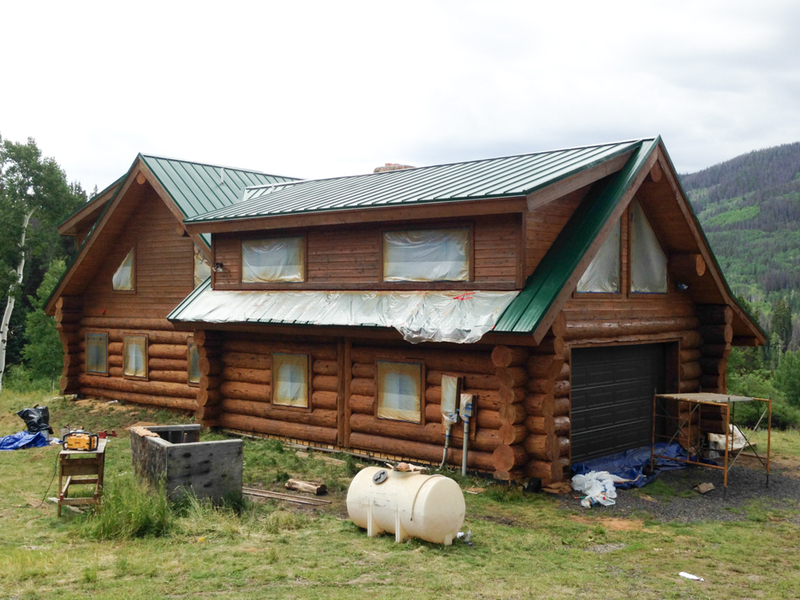 Log Home Finishing uses stain from Sashco, Permachink, and Sikkens. 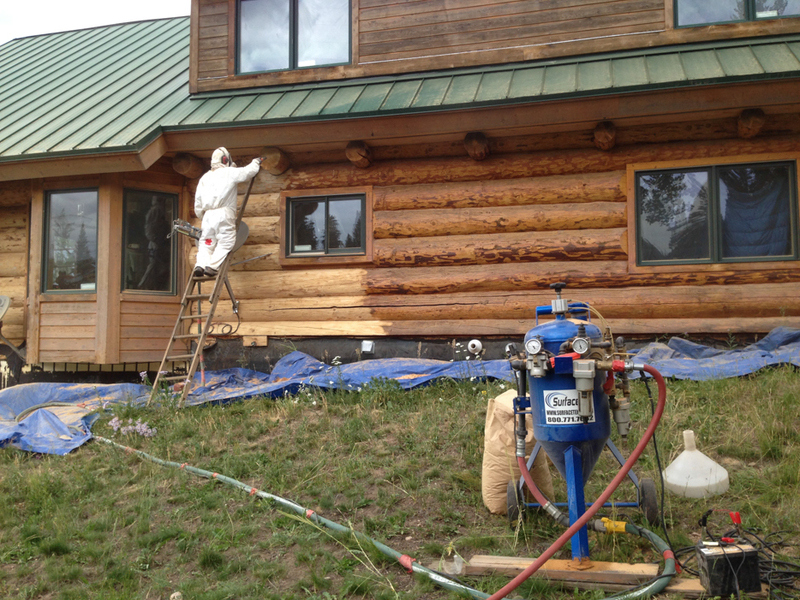 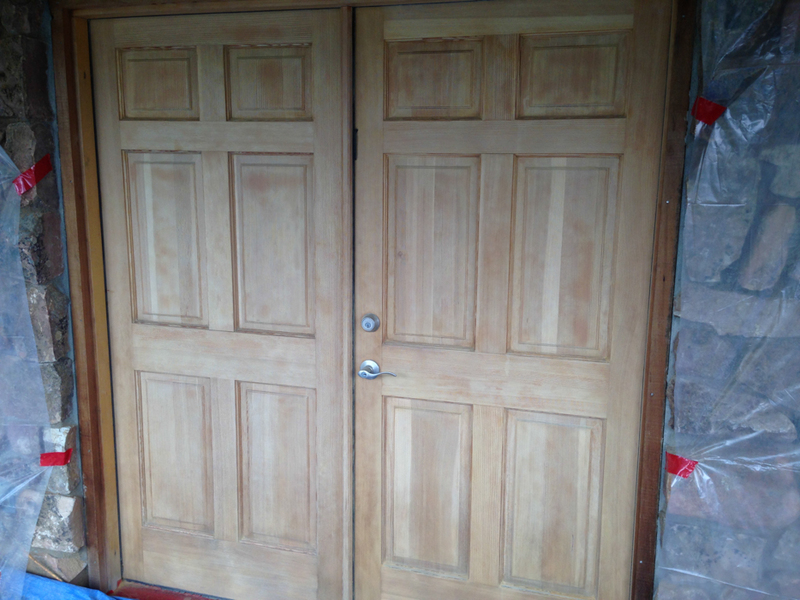 Old oil based Sikkens finish on log home has failed and needs to be removed with walnut shell media blasting.